Monday 4th March to Saturday 7th March 2015. 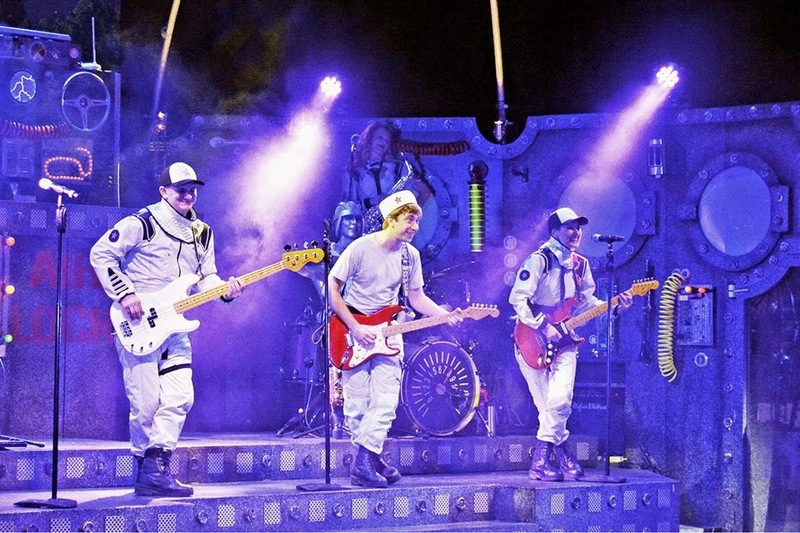 The musical that combines 50s sci-fi movie kitsch with great rock and roll numbers and a huge helping of William Shakespeare’s Tempest has become a hit for the last 25 years. This is a production that makes full use of its 11 strong ensemble of actor/musicians, many of whom are multi-instrumentalists of the highest order. 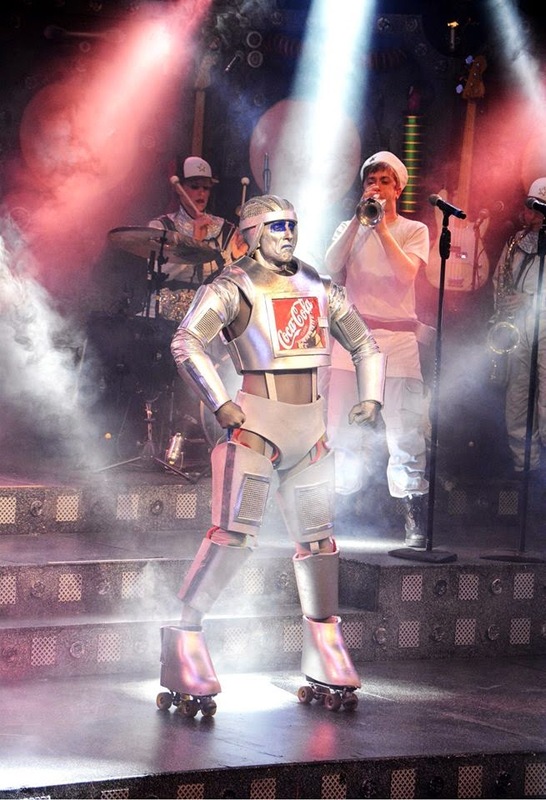 The show is set onboard a space ship that is heading off for a journey of scientific discovery. It finds itself being pulled in towards a planet that has a mad scientist who is trying to create a potion containing the x factor. The scientist’s daughter tries to catch the romantic eye of the captain of the ship but it is the poor cook who really fancies her. With dialogue lifted from the Baird’s more humorous work, the story often raises a smile. The directing at times has a B movie feel in a positive way, such as when the monster attacks the ship. The real beating heart of the show is the quality of the musicianship and choice of classic hits that are instantly recognisable. Whilst a bit of updating has seen the addition of Nirvana’s Teen Spirit in during Mark Newnham’s fantastic guitar solo, most hits are from the 50s & 60s. As a simple rock event, the show works fine. The songs fit in nicely to the script. Christine Holman is enticing with her version of Gloria. Sarah Scowen is delightful during A Teenager In Love. Dr Prospero is given a mysterious air by Jonathan Markwood as he sings Don’t Let Me Be Misunderstood. Other hits include It’s A Man’s Man’s Man’s World, Born To Be Wild and Monster Mash. The tribute to Leonard Nimoy was touching. 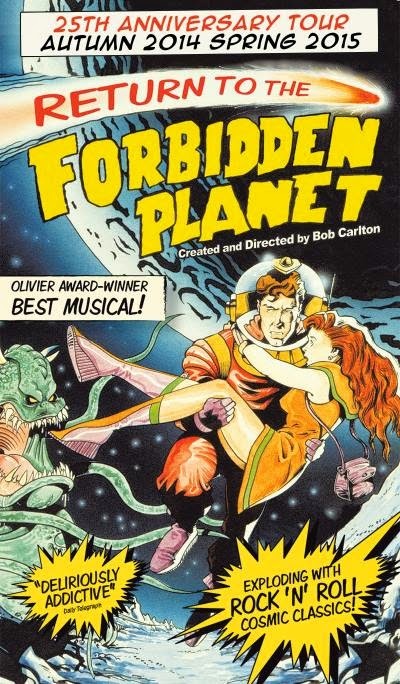 The space ship set coupled with Bob Carlton’s direction has enabled the action to flow without a break, with musicians taking turns on a number of the instruments. One very clever part was the weightless scene in which they gave an impression of mic stands flying through the air. It was another scene that made the crowd smile. 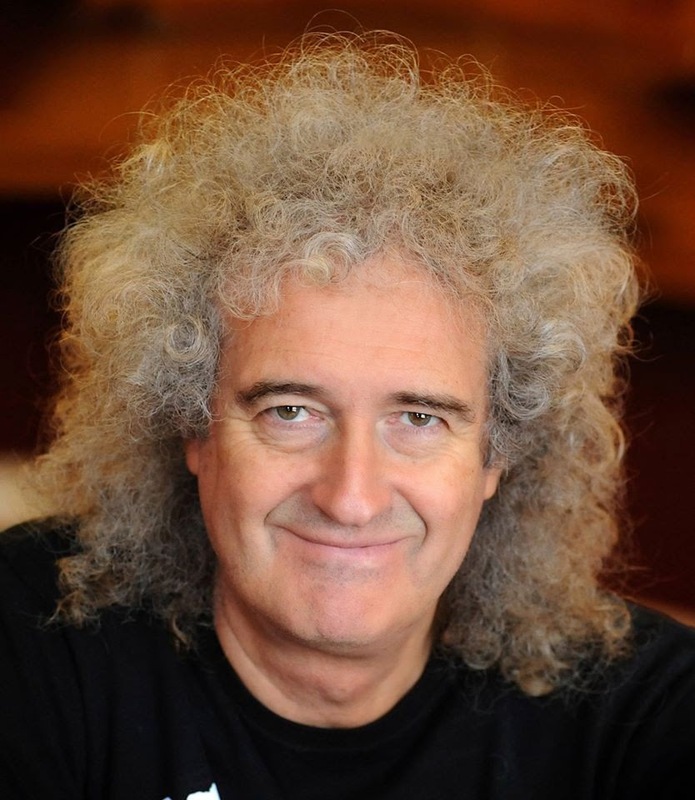 Add some amusing onscreen appearances for Queen’s Brian May as narrator to the talented ensemble and you quickly understand why the show has been successful. The show had the audience on their feet dancing at the end with a very enthusiastic final encore of Chuck Berry’s classic Johnny B Goode and a well deserved standing ovation. A quality night’s rocking entertainment.